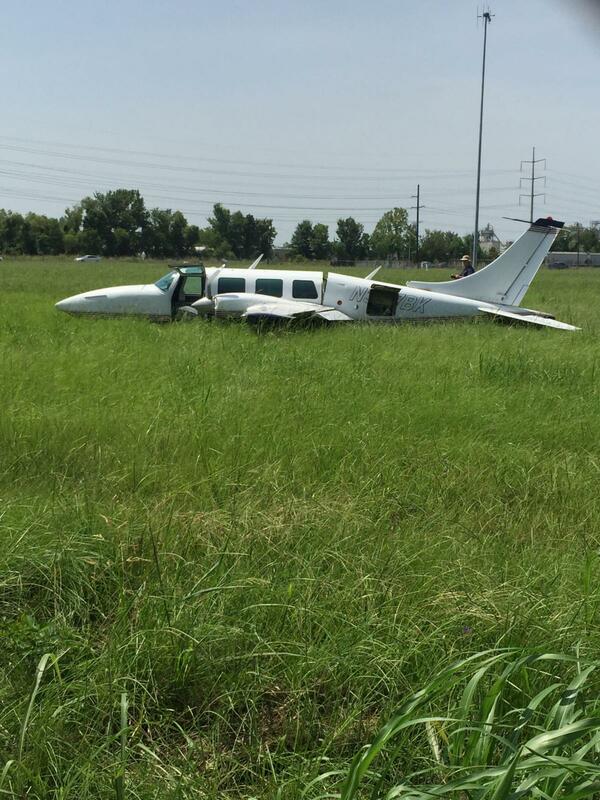 On July 20, 2018, about 1430 central daylight time, a Piper PA60 Aerostar airplane, N327BK, experienced a loss of engine power and landed in a field after takeoff from Baton Rouge Metropolitan Airport (BTR), Baton Rouge, Louisiana. The commercial rated pilot and one passenger were not injured and the airplane sustained substantial damage. The airplane was registered to and operated by the pilot under the provisions of Title 14 Code of Federal Regulations Part 91 as a maintenance check flight. Visual meteorological conditions prevailed at the time of the accident and no flight plan had been filed. The local flight was departing at the time of the accident. A review of the air traffic control recording revealed that the pilot requested to takeoff from runway 31 and fly one time around the traffic pattern for a maintenance check. The air traffic controller stated that the airplane dropped below the tree line after takeoff and was unable to reach the pilot on the radio. The airplane made a hard landing into a grassy field (figure 1) about 1 mile northwest of the departure end of runway 31. 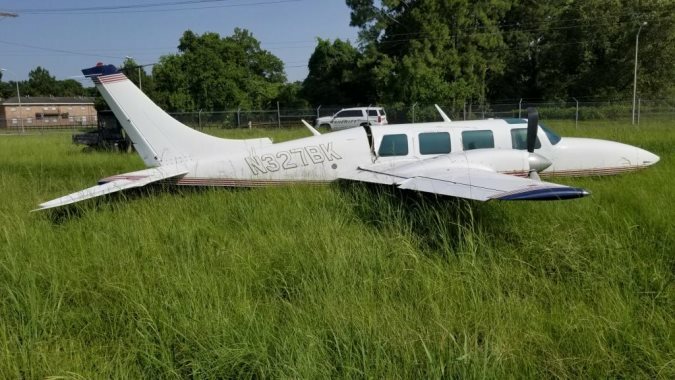 No one was injured when a small airplane successfully made an emergency landing Friday afternoon shortly after takeoff from Baton Rouge Metropolitan Airport (KBTR), said spokesman Jim Caldwell. 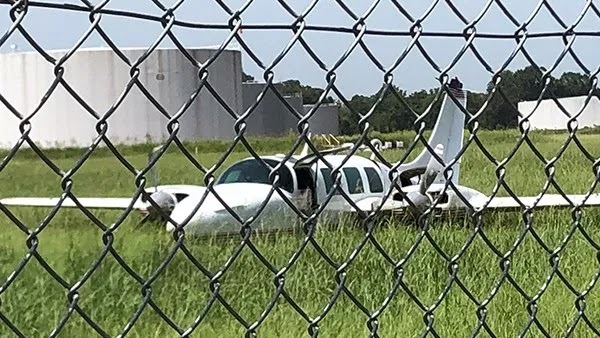 Caldwell said a Ted Smith Aerostar 601 plane took off from the airport and experienced some engine problems, forcing a landing in a field nearby. 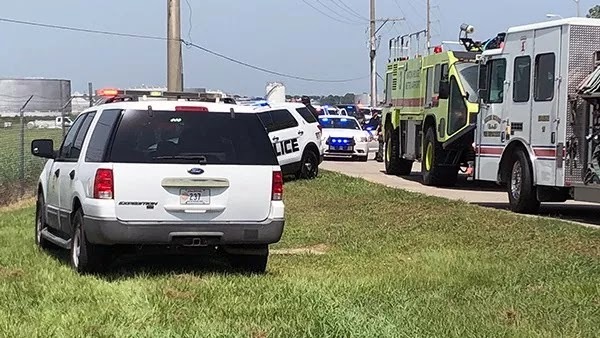 Baton Rouge Emergency Medical Services spokesman Mike Chustz said emergency crews were called to the site in the 1900 block of Blount Road at about 2:30 p.m.
Caldwell said the pilot and one passenger had been in the plane. 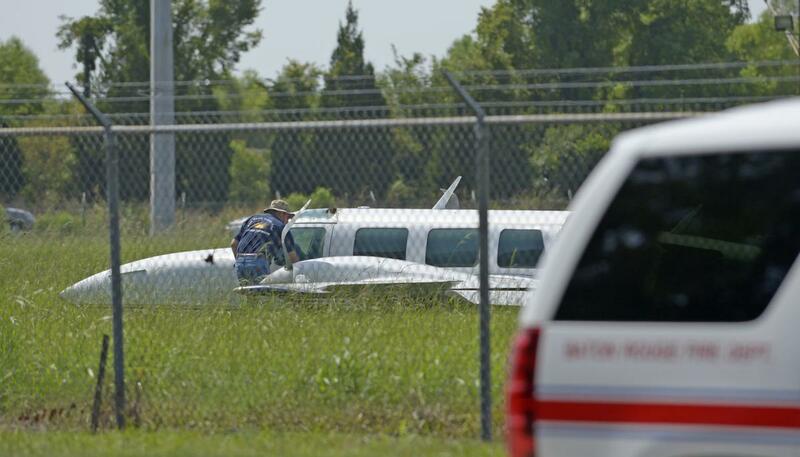 "They had to do an emergency landing and they did a good job," Caldwell said. 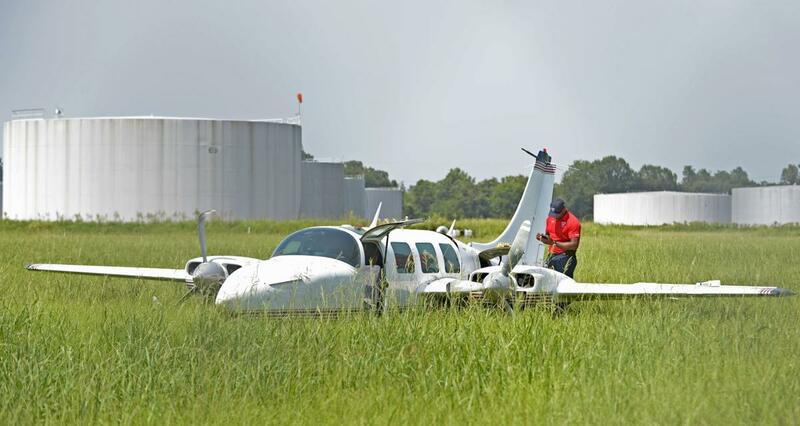 BATON ROUGE, La (LOCAL 33) (FOX 44) - A small plane made an emergency landing due to engine failure near Scotlandville Friday, according to Baton Rouge Metropolitan Airport (KBTR) officials. The Ted Smith Aerostar 601 was departing from KBTR when it experienced major engine failure upon takeoff. 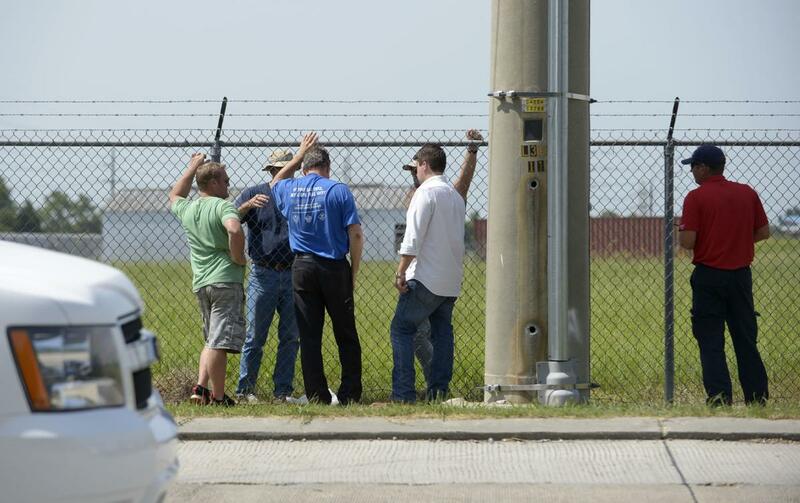 Although the flight's final destination is unclear, authorities believe it may have been a local flight. 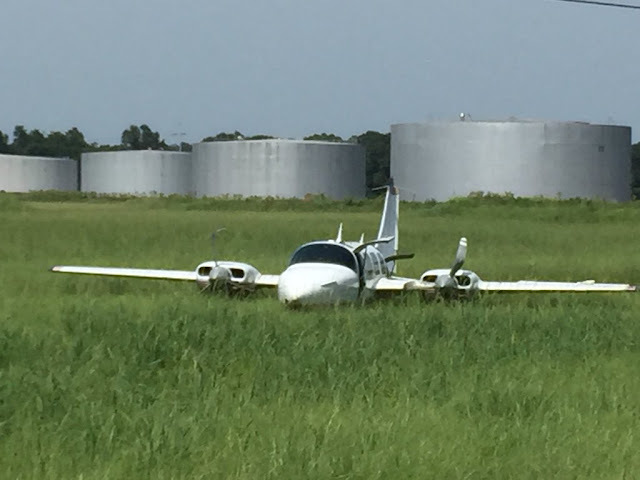 We're told the plane narrowly missed a tank farm while making the emergency landing. Fortunately, both the pilot and passenger were not injured. BATON ROUGE, LA (WAFB) - A small plane made an emergency landing near the Baton Rouge Metropolitan Airport (KBTR) Friday afternoon. The call went out around 2:30 p.m. on Friday, July 20. The plane made a crash landing near Blount Road and 19th Street near the Maryland Tank Farm. No injuries have been reported. A spokesman with the Baton Rouge Fire Department says the plane was taking off from the Baton Rouge Metropolitan Airport when the pilot heard a popping noise and lost both engines. The pilot says work was recently done on the plane and he was taking the plane out to test it. 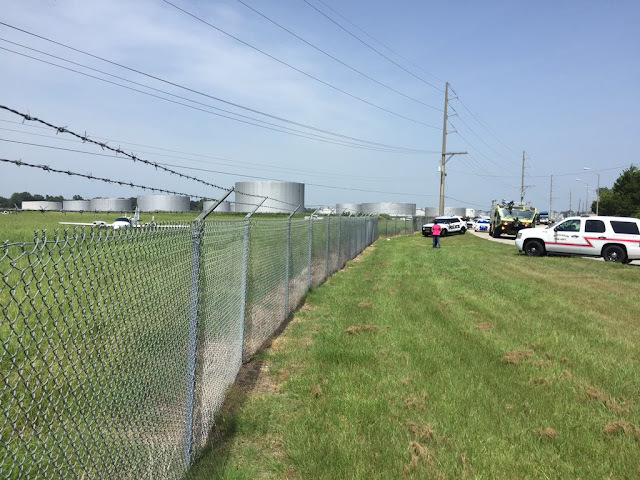 The pilot was then able to put the plane down at the tank farm, which is about 100 yards from an apartment complex. He was forced to land the plane with the landing gear up because he did not have time to get the gear down. Curt Monte with BRFD calls it a "fortunate situation," since the pilot managed to land the plane near busy highways, train tracks, and an apartment complex without hitting anything. The plane reportedly has a large split down the middle from the emergency landing. BRFD also says crews must offload 50 gallons of fuel from the plane before moving it. A hazmat team is on scene as precaution. One of the two westbound lanes of Blount Road will be closed until crews finish working. Well done getting the plane back down after a double engine failure! In at least one of the pictures one can see that the right propeller has been feathered. With one engine out, the Aerostar would have no trouble making it back to the field but with two engines compromised, it becomes a very slick and heavy glider! lost both engines?? maybe jet fuel instead of 100LL. Article is incorrect. Only lost the right engine. Good job! Might or might not have made it back on one. Too many don't. This was better than a Vmc roll.